Bonsai is a Japanese word meaning “plant in a tray”. It is usually thought of as a Japanese art from but there is evidence that it actually began in China in the 8th century and made its way to Japan in the 13th century. Today Japan is still the Mecca for bonsai masters. 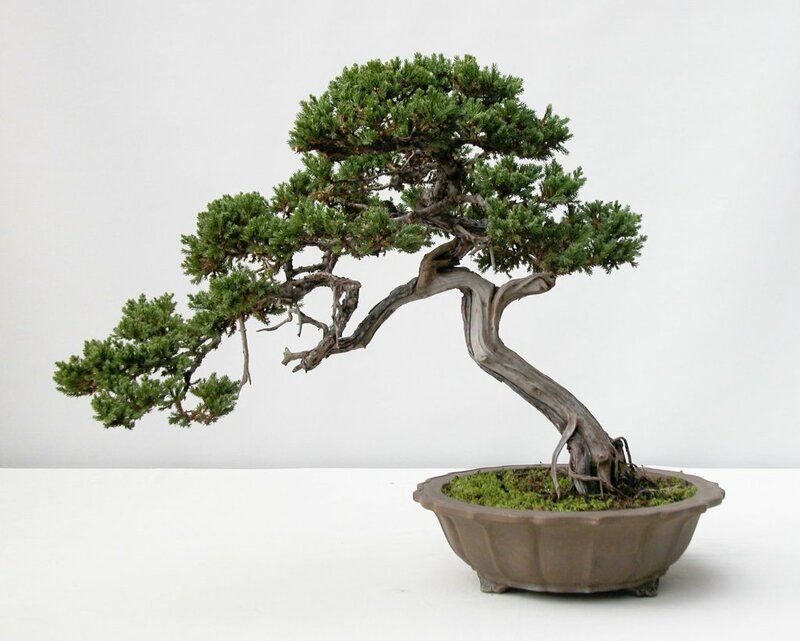 Bonsai is an art form whose objective is to mimic nature on a small scale. In nature you will see trees with contorted gnarly trunks or trees that have been struck by lightning or blown over in a storm yet still survive. You will also see majestic trees with gracefully symmetry. These are all models that form the basis of bonsai. The various styles, for the most part, take their name form there form. Terms like formal upright, informal upright, twin trunk, cascade, grove or wind swept are used to put trees into categories. These terms give the viewer a fairly accurate idea of what the tree will look like. Choosing a style is mostly dependent on what the tree has to offer and its natural growth habit. For instance a blue rug juniper lends itself to a cascade style and could not be trained to an upright style. A maple tree is adapted for an upright style and could not be made into a cascade. Certainly the bonsai artist can train branches to grow in a desired direction, but it is more about fine tuning what exists. Training is done by selective pruning and wrapping wire around a branch. Once the wire is in place the branch can be bent into the desired position or shape. After a few months the wire is removed and the branch will, hopefully, retain the new shape. A misconception that I had was the bonsai trees started small then grown to full size bonsai. This is done, but most commonly the source for trees is the discount bin at nurseries. Plants that are mostly dead or misshapen would not look good in a landscape but are prime material for bonsai. The key to selecting a plant is the trunk. A thick trunk with a gradual taper communicates to a viewer that the tree is old. Special varieties are not needed. Just your ordinary landscape plants are often the best to use. I have even dug maple seedlings that have come up in my garden. Once a tree has been selected the rough trimming begins. As much as 80% of the tree any be removed. Often within a year you have a respectable looking bonsai. From that point it is largely a matter of refining the shape. Getting started in bonsai is simple. Tools need to get going are a scissors, pruning shears, wire cutter and wire. The wire can be just normal electrical wire. All are items that you already have. Specialized bonsai tools are very helpful and purchased for 25 – 30$. I have often heard the comment that people don’t have the patience for this art form. It really does not take much time. A couple times a year the tree will need to basic maintenance pruning – maybe an hour or two. Other than that it is a matter of basic care similar to any other potted plant. The Fox Valley Bonsai Society will be having its annual show at Lowneys Landscape Center 6064 N. Richmond (it is about 2 miles north of I-41). This is a chance to see a variety of trees and learn more about this art form. The show is October 3, 2015 from 11:00 – 3:00. You can also get more information about the Society on our Facebook page facebook.com/Fox-Valley-Bonsai-Society. Goodbye, Rachel, and Thank You! A volunteer organization counts on the hard work, the self-sacrifice of those who choose to dedicate time and energy with no compensation. When you lose one of those members, it leaves a hole. Such is the case with Rachel Seppi who will be leaving us as she moves from the area and starts a new job. 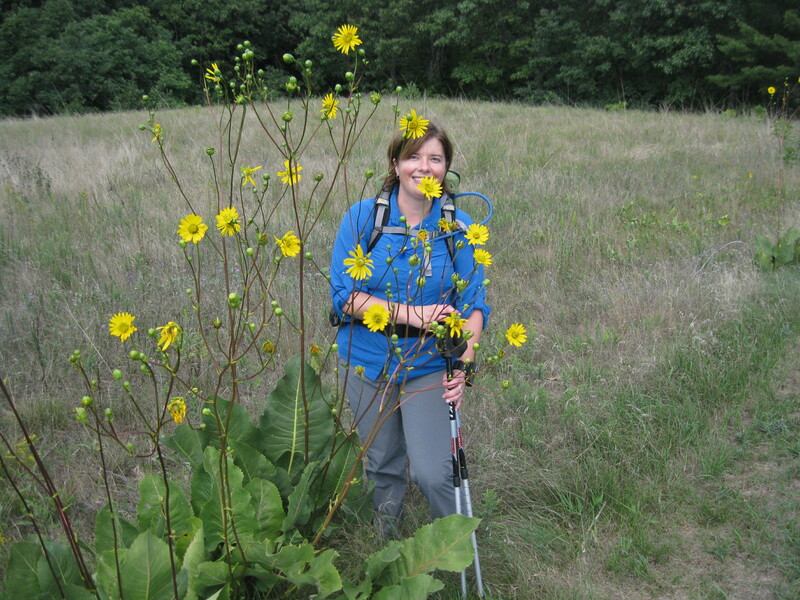 After being a member of OCMGA since 2010, Rachel took a sabbatical 2 years ago to realize a dream: hiking the Pacific Crest Trail. Upon her return to the area, she jumped back in with that same enthusiasm when she learned that we were contemplating the creation of a blog. Rachel started this blog for OCMGA, and was the driving force behind the recruiting of the committee that will now step in to keep it going. We wish Rachel only the best as she pursues a new course in her life, but you’ll be missed! I admit to not having a clue when or how to prune my shrubs. I’ve attended clinics and listened to our in-house experts talking about keeping trees and shrubs pruned and shapely. I have books on the subject with nice, easy to read diagrams. Nothing helps, though, when I’m looking at my overgrown dogwood and my hand trembles as I try to determine where to make the cuts. Don’t we all want beautifully groomed lawns and gardens? Do we actually get beautifully groomed lawns and gardens, though? Probably not without help as we can’t rely on the weather, or fungus, or insect damage. And, in my case, we can’t rely on figuring out exactly where the cuts should be made that will produce a perfect shape next year without the “flowering” effect from cutting in the wrong place. My solution has been to chop everything back to about 6 inches every couple of years and, when it grows out, I have a lovely shrub. Kind of cowardly, but it works for me. My point is this: no one is an expert on everything that grows unless they have an advanced degree in horticulture. Does that mean that we shouldn’t get out there and try? No it doesn’t!! Trial and (mostly) error is how we learn. The lessons we teach our children still apply to us as adults: if at first you don’t succeed, etc. In a 10-inch oven-safe skillet, saute garlic, pepper flakes, and salt & pepper in olive oil for about 1 minute. Add crushed tomatoes, water, penne, and an additional 1/4 teaspoon of salt. Bring to a boil, then reduce heat to a simmer. Cover and cook, stirring often, for about 20 minutes, or until pasta is tender. Stir in heavy cream, Parmesan, and basil. Sprinkle mozzarella cheese on top. Bake for 8-10 minutes in preheated oven, or until cheese is melted and sauce is bubbling. Due to scheduling issues the First Thursday at the Wild Center was held on the First Tuesday in September. 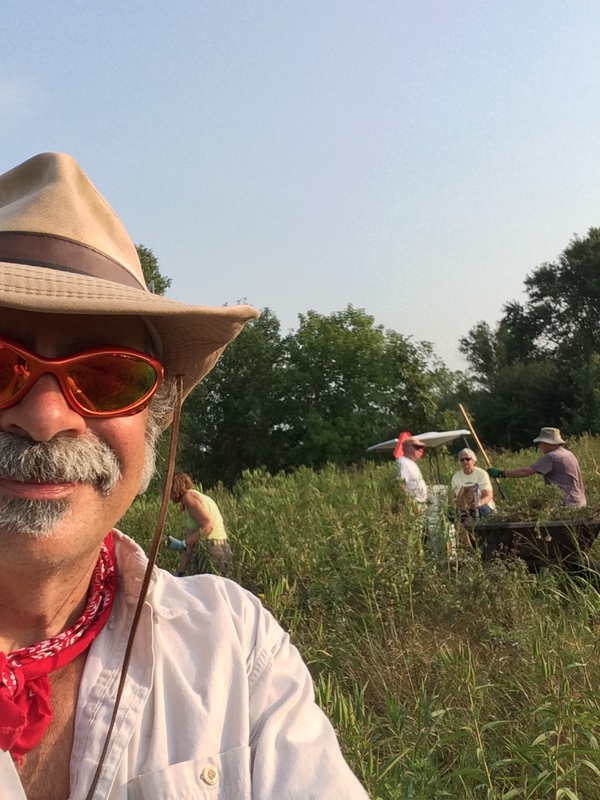 We had some hot and steamy weather September 1, but nonetheless some hardy souls showed up to cut off bull thistle and Canada thistle seed heads before they cast their seed in the prairie. Being that this prairie was only seeded 5 years ago it looks really good with a lot of native diversity. There are still ongoing challenges with unwanted plants like Queen Ann’s lace, sow thistle, wild parsnip, etc., but it is coming along nicely. There was even some lovely bottle gentian and great blue lobelia in bloom this evening. Awesome. 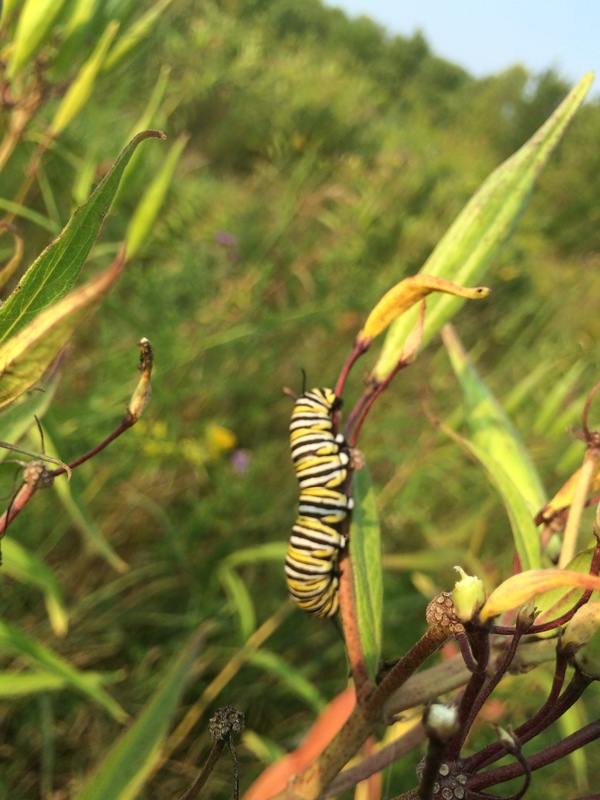 I was also fortunate on this Wild Center volunteer night to capture some photos of an adult monarch butterfly gathering nectar on a stiff goldenrod and also a monarch caterpillar feeding on the host plant Asclepias incarnate (aka red milkweed or swamp milkweed). 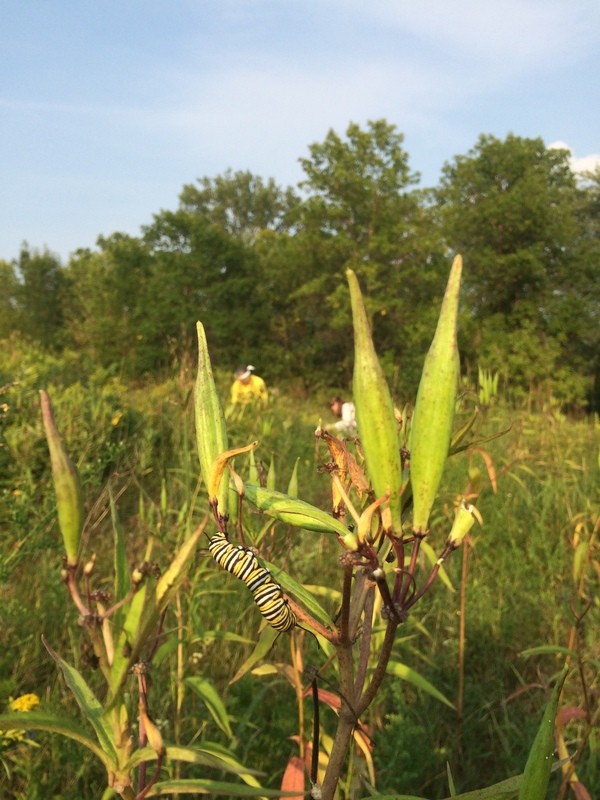 This plant and its sister plant asclepias tuberosa (aka butterfly weed) are more colorful and ornamental than the common milkweed (asclepias syriaca); yet the monarchs love to lay their butterfly eggs on them. If you like butterflies like I do, red milkweed and butterfly weed would be an excellent addition to have in your flowerbed. Are you afraid of a tree? You say No, but maybe you should be. 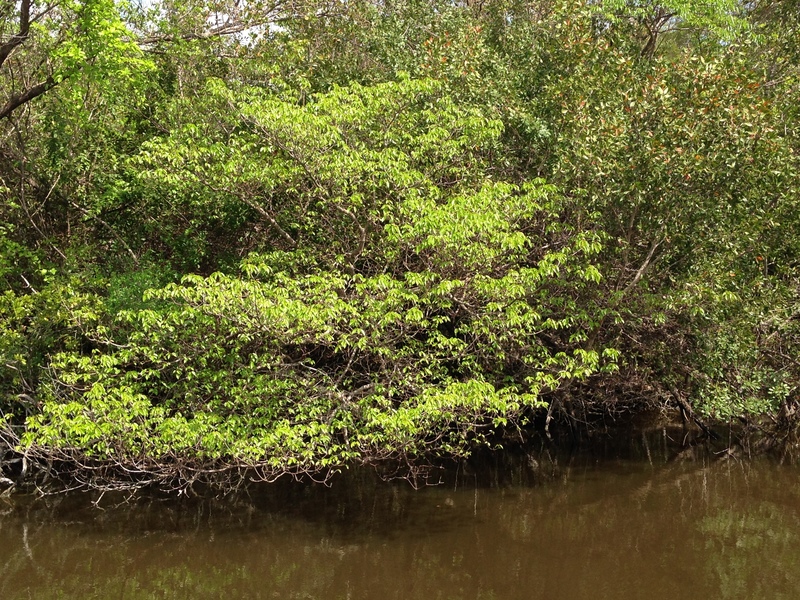 When touring the Everglades this summer, we came across the manchineel (Hippomane mancinella) tree, a member of the spurge family, found in the sandy soils and mangroves of South Florida and the Caribbean coast. 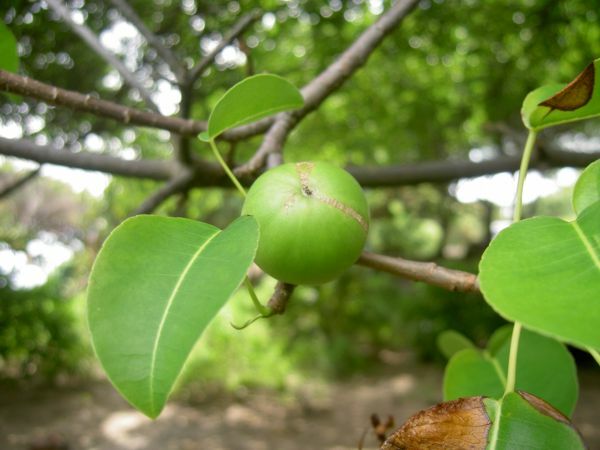 This rare tropical plant, offers sweet fruit, resembling a small green crabapple about 1-2” wide and with one bite it can cause abdominal pain, vomiting, bleeding, digestive tract damage and potentially death making the manchineel one of the most poisonous trees on Earth. This tree was called ‘little apple of death’ by Spanish conquistadors who used manchineel sap to make poison arrows. The sap is so acidic that the slightest contact with human skin causes a breakout of blisters. If one of these deadly trees is burned, the resulting smoke and sawdust can burn the skin and lungs and cause blindness if it reaches a person´s eyes. The toxicity for manchineels in Florida, pushed eradication efforts which has now put the tree on the endangered species list. Despite the danger, Caribbean carpenters have used manchineel to make furniture for centuries, carefully cutting the wood and then drying it in the sun to neutralize its poisonous sap. Native people even used manchineel as medicine. Today people tend to leave manchineel trees alone, for obvious reasons and because it provides a natural windbreak, since it can grow up to 50 feet tall, and it fights beach erosion. Riverview Gardens is a non-profit social enterprise in Appleton WI, focused on job training for people in need, operating with the core concept that all people have value and can contribute to the community where they live. Riverview Gardens has five social enterprises, including a 15-acre certified organic urban farm with an apiary, microgreens operations, hydroponics greenhouse being constructed, a bakery and a soon to be launched retail operation. A prairie is planned for installation on the urban farm in 2016. The seed for Riverview Gardens grew out of Executive Director Cindy Sahotsky’s participation in the inaugural class of the executive Social Innovation Leadership Experience (SILE) sponsored by Marquette University, the J. J. Keller Foundation and the U.S. Venture Fund for Basic Needs. Poverty and homelessness have many causes and cannot be resolved through shelter alone. Some source of income is required to be eligible for transitional housing, and it is often impossible to secure employment without a current address and recent work history. The enterprises provide unlimited job-training opportunities for the people served and a source of revenue. Riverview Gardens sells produce, microgreens and bakery items through a community supported agriculture (CSA) program, at a farmers market and to restaurants, grocers, hospitals and corporate cafeterias. Founded in 1898, Riverview Country Club and golf course was Wisconsin’s oldest private country club and an Appleton institution until its closing in 2011. 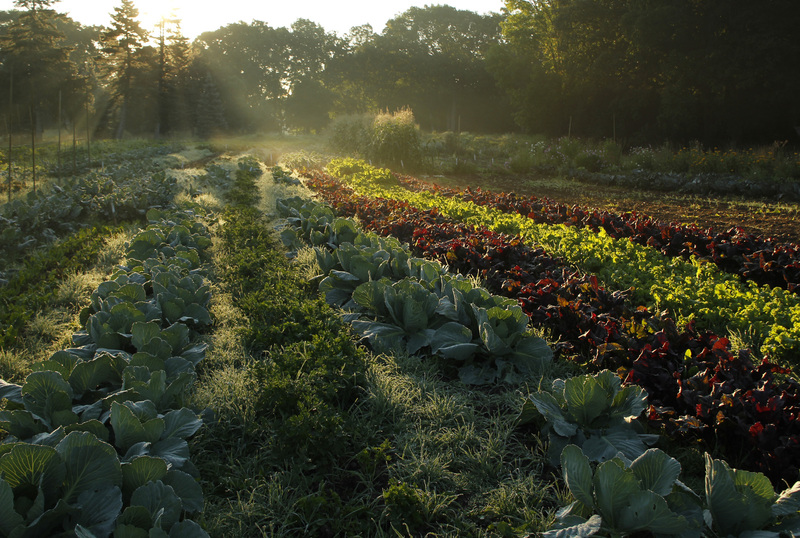 Riverview Gardens’ founders saw the beautiful, prominent property as an opportunity to address critical community needs in a completely new way, at the same time preserving and protecting the land for agricultural use. Riverview Gardens is the collaborative transformation of a 72-acre golf course and related country club. This transformation addresses serious regional challenges, including rising unemployment, homelessness, poverty, and lack of access to nutritious, fresh food, all with a financially self-sustaining model. While Riverview Gardens isn’t training people to be farmers, job-training participants grow from the lessons of farm life and gain critical transferable job skills that helps them move forward to self-sufficiency for themselves and their families. ServiceWorks, the job-training program, has successfully provided job-training to over 500 of our community members in need. You can get involved in this transformative project by joining volunteering your time or donating much-needed garden tools. You can also enjoy walking, running and biking on Riverview Gardens’ 72 acres daily from dawn to dusk. For more information, visit http://www.riverviewgardens.org. 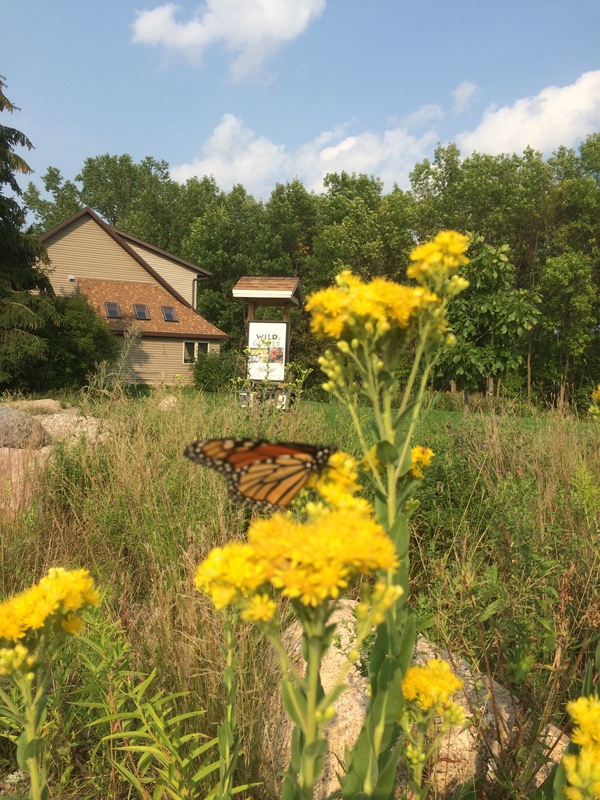 Riverview Gardens is transforming land, lives and the non-profit idea.